Home / Community / Interviews / VNN Interview with TBK at Dokomi 2017! VNN Interview with TBK at Dokomi 2017! This year, VoxWave attended Dokomi in Germany! 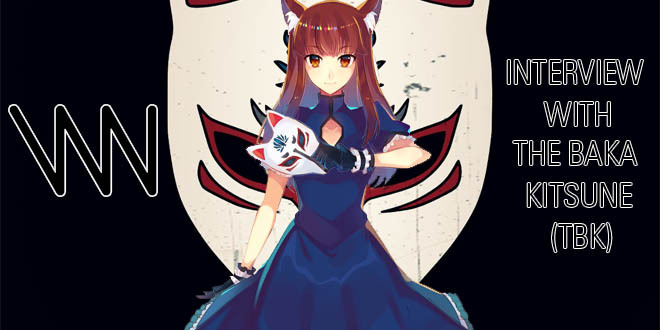 And, of course, it wouldn’t be a full VoxWave party without The Baka Kitsune (TBK), Co-Founder of VoxWave, Youtaite, and voice provider of LEORA. The German division of VNN was lucky enough to be able to ask her a few questions about everything she’s involved in. Here’s VNN’s interview with TBK! 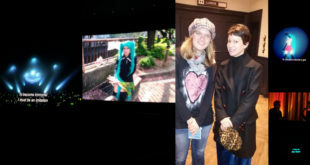 VNN: How are you enjoying Dokomi and Germany so far? TBK: It’s really great! I came to Germany for the last time five years ago, so I was really happy to be able to come back here. It’s a great time and opportunity to practice my German, too! VNN: Is there anything you personally want to say to your fans? TBK: Keep loving virtual singers! This team is awesome, okay? And keep doing what you like in life. Everything is good, everything is great! 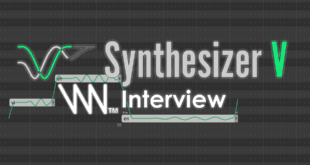 VNN: Regarding your recent work on LEORA, how was recording for you? TBK: I already did record an UTAU before, my UTAU Guren Nataku, so I was kinda used to the process. But it was also different with LEORA because we wanted it to be really precise and Drak-pa kept telling me to re-record samples because we needed to have the phoneme sounds to be really precise and specific. So it was a bit longer. We took like an entire weekend to record the French and I still have to record the English, which will be the hardest part, but I really enjoyed it! I’m pretty surprised because LEORA actually has a beautiful high lyrical voice and really beautiful high notes, and I just have recorded a medium voice range, so I’m kinda confused. I have no idea where they come from, but it’s cool because it’s kinda complimentary? I can’t sing high notes very well and she can sing them for me, which is really cool. VNN: What was your first reaction when you heard LEORA for the first time? TBK: Joffrey told me, “Oh, I can hear your voice in LEORA,” and I was like, “Oh, really?” because I’m so used to my raw natural voice during the recording process, so it feels completely different for me to hear it through a voice synthesizer. I really don’t see LEORA as a copy of my voice, really not! I think it’s a new being, a new entity. It’s really interesting. VNN: How would you describe the relationship between LEORA and ALYS? TBK: We made LEORA as kind of an “Alter/Ego,” if I can say it like that, of ALYS so that she can be everything you want her to be! Some people see them as lovers, others as best friends or even enemies. I personally see it as they’re from the same world, so they’re just here together. I like all of the things that they can do together? VNN: And how would you describe YOUR personal relationship with LEORA? TBK: Uhm, that’s a hard one. I see her like she is a part of me. She’s everything I can’t do in public. I like to see her as a warrior, as a berserker, and a strong woman! Sometimes I’m angry and I can’t really publicly say, “I want to destroy it!” But I feel like LEORA has this attitude where she would say it. I like her; she is my girl, my fighting girl. She’s our girl with VoxWave and everyone’s girl. VNN: If you could say something to LEORA in person, what would that be? VNN: Would you like to perform some day with her side by side? TBK: Yes, definitely! To be honest, I already asked Joffrey to do a duet song with LEORA because I really think it would be great and, as I said, she has beautiful high notes. So I think I can do the low parts and she can take over the high parts. I really want to try it! VNN: What do you wish for LEORA in the future? 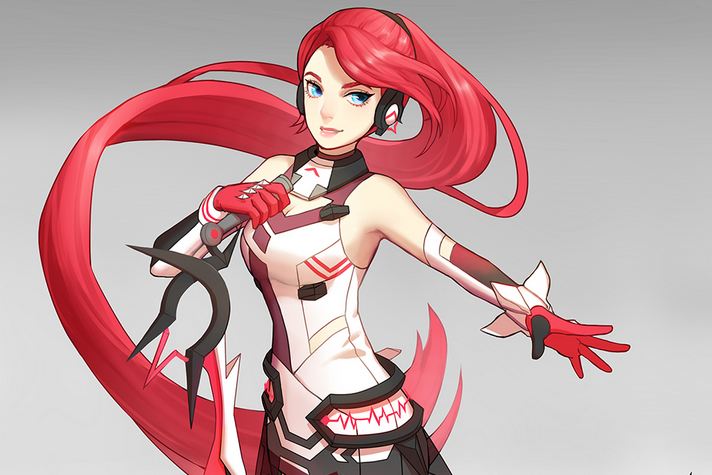 TBK: I hope that people will welcome her just like they did with ALYS. She isn’t here to replace ALYS; she’s here to help her! She’s here to bring forth a new part of their universe. So I really hope people will enjoy LEORA and make songs with her. I just want her to bring something to people. dotkrawl is a German Vocaloid and UTAU user, gamer and huge singthesizer fan. He acts as the translator between VNN German and English if necessary. Other than VNN he's mostly working on a German UTAU Reclist and respective voice banks. He's also an Admin on the German Vocaloid Wiki. 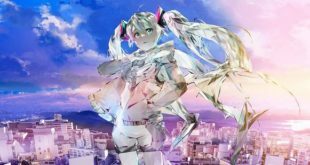 Previous Vocaloid 3rd Wave Album Released!